24/01/2019 Master the art of marketing the spirits in your restaurant by following these simple tips and tricks. Marketing spirits in restaurants and other on-premise establishments involves more than just highlighting the names of premium, craft-distilled spirits on your bar menu. It also involves telling authentic stories, partnering with craft distillers, and coming up with creative cocktail ideas involving premium spirits. Segmenting your customer database is an important first step in understanding which spirits you should be marketing to them in the first place. Especially if you have limited dollars in your marketing budget for marketing spirits, you want to make sure that you are getting the most bang for your buck. Thus, it might be possible to segment customers according to whether or not they are ordering mixed drinks or cocktails, and then whether they are ordering premium brand spirits for those drinks or craft-distilled spirits. Using this information, you can start to put together a spirits marketing game plan for your establishment. Let’s say, for example, that 80 percent of your customers are ordering mixed drinks, and the remaining 20 percent are ordering high-end cocktails. You have two options here. You could try to convert that 80 percent of customers to try a new specialty cocktail perhaps via one-time promotions or discounts. Or, you could see if your bartender or mixologist could come up with a “twist” on classic mixed drinks. Simply adding a new garnish or artisanal ingredient, for example, or swapping out one neutral spirit (e.g. vodka) for another (e.g. gin) might be enough to give your drinks menu a brand-new look. At one time, craft distilleries were located in only a few regions of the country. But that has all changed now, and it’s quite likely that there are some craft distilleries located relatively close to you geographically. That might represent a unique partnership opportunity. For example, you could partner with a local craft distillery on a special dinner menu that features unique food-and-spirit pairings. Or, you could partner with a local craft distillery on a Happy Hour special that features discounted prices for mixed drinks made with a locally distilled craft spirit. It’s a great way to reaffirm your link to the local community ecosystem, as well as to build excitement around your restaurant brand. Or, if you would like to make mixed drinks and high-end artisanal cocktails a featured part of your bar menu, why not partner with a local mixologist to create some specialty cocktails? One idea might be to create a “signature drink” that perfectly reflects the values, outlook, and vibe of your restaurant. Another idea might be to create a seasonal cocktail for the colder winter months that will encourage guests to come out to your restaurant and mingle with friends and family. One way to build buzz around your restaurant’s bar menu is to organize tasting events. A theme for the event, for example, might be “Bourbons from around the World.” This might be a great way to introduce restaurant patrons to all the premium, high-end bourbons on your back bar. From a marketing perspective, it’s best to organize these tasting events on nights of the week when you are having trouble bringing in customers. This is spirits marketing in restaurants in action because it is specifically designed to boost your bottom line. Your bar menu is one of the most valuable tools you have for marketing the spirits in your restaurant, and yet many establishments completely overlook this opportunity. They will simply list all available drinks in price order and assume that customers do not need any further help in making the perfect drink selection. However, there’s a lot that you can do to market the spirits on your menu. For one, you can highlight, box or feature cocktail creations that provide the highest profit margin for your restaurant. This will immediately draw the eye (and attention) of restaurant patrons. According to marketing studies, the best place on the bar menu to highlight these selections is either the upper left or the upper right of the menu. In general, people will read the drinks menu much like a book – they will move from left to right, down the page, until they get to the very end. Some people will simply look at the lowest priced cocktail and then the highest priced cocktails, and then choose either one. Or, they will just choose the second lowest-priced cocktail. But you get the idea here – if your menu is organized just like every other menu, people will default to price as the major factor in their drink decision. As a restaurant owner, though, there is a lot that you can do to influence this choice. You could, for example, provide photos or images of the different cocktail creations, so that people will be influenced by the visual aesthetic of certain cocktails. Or, you could provide a much more effective description of each drink or cocktail. Instead of just listing all the ingredients, try adding an evocative description for each ingredient so that the cocktail menu really becomes a multi-sensory experience for guests. Finally, one way to market spirits in restaurants is by emphasizing, highlighting and featuring the selections of your restaurant staff – especially the “top picks” of your bartender, sommelier or mixologist. Studies show that these individuals are the most influential when it comes to drinking suggestions. Thus, just a simple notation like, “This is the personal favorite of our bartender Tom,” can go a long way in swaying opinions. Remember – many restaurant patrons have not made up their mind in advance what drink they are going to order, so you have a lot of opportunities here to help sell them via peer recommendations. And, of course, if your serving staff has been well trained and educated, they will also be able to make some effective suggestions about which drinks to order. Spirits marketing in restaurants does not have to be difficult. And, in fact, it does not even have to be overt. 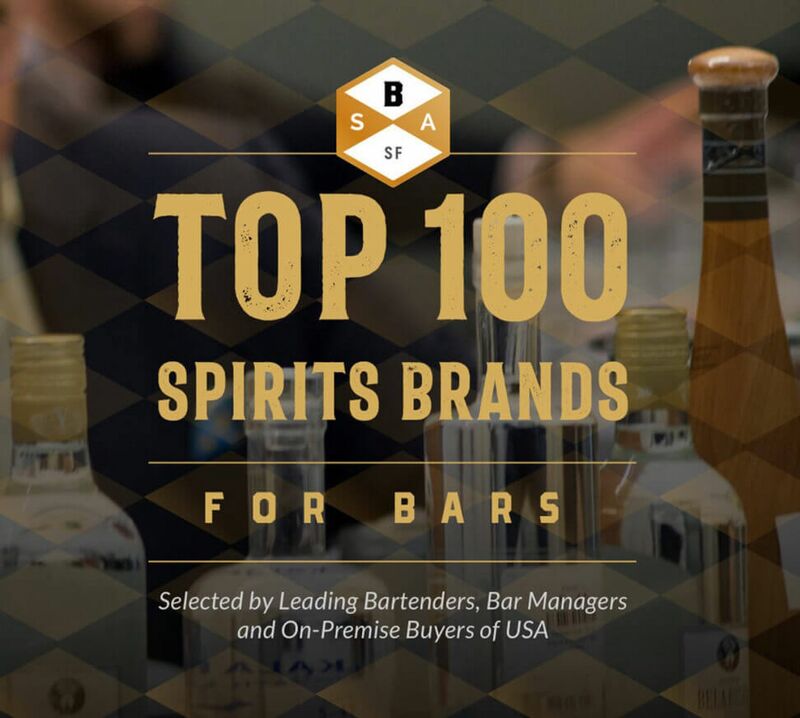 In the world of spirits marketing, peer recommendations and carefully chosen cocktail creations that fully represent the preferences of the core clientele of your restaurant can have a very dramatic impact on helping to improve the sales of spirits from your restaurant bar.